The Cypriot immigration policy and legal framework now enable non-EU applicants to obtain Cypriot citizenship on an expedited basis, with approvals granted as fast as 6 months. 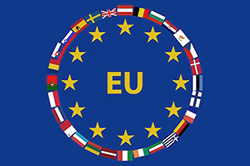 Cyprus has been a full member of the European Union since 2004. The island is located in the north eastern Mediterranean Sea, at the crossroads of Europe, Asia and Africa. The strategic location of the island has played an important role in its development as a financial center. The minimum investment amount under the residency program is EUR 300,000 for a “first-time” sale residential property in Cyprus. The applicants’ presence at the time of purchase is not mandatory and can be facilitated by legal representatives. If desired, citizenship may be applied for after 84 months (seven years) in permanent residency status, having spent at least 180 days per year in Cyprus. Further, an applicant must maintain a three year fixed deposit account with a Cyprus bank for an amount at least EUR 30,000. The funds deposited must emanate from sources outside Cyprus. Lastly, the applicant must provide evidence of secured annual income of at least EUR 30,000, originating from abroad. The Citizenship by Investment program of Cyprus provides a method of obtaining citizenship for foreign nationals, with approvals issued in as little as 90-180 days. The application process is expected to take about six months, with approvals granted within three to six months. Government filing fees and attorney fees are in addition to the investment minimums. In addition to pleasant weather, the investment landscape in Cyprus is beneficial due to the island’s well-qualified labor force, attractive taxation and a reliable transport and telecommunications system. Cyprus ranks highly because of its favorable tax regime for new residents, particularly high net worth individuals. Recent studies conducted by global immigration experts deemed the Cyprus Citizenship by Investment program among the “best in the world”. Fast track application procedure - all applications are reviewed by the Civil Registry and Migration Department and the Ministry of Interior grants final approval within 3-6 months from the date of filing. The application can be processed in the applicant’s absence and filed on their behalf. The whole family can obtain Cyprus Citizenship i.e. 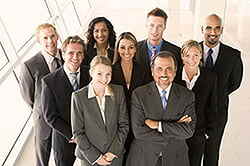 the main applicant, his/her spouse, children under 18 years, and adult children (ages 18 to 28) who are students. All can travel, reside, study and work freely within the EU. Cyprus is an attractive financial center due to its highly favorable tax system and strategic location at the crossroads of three continents – Europe, Africa and Asia. Becoming a citizen of Cyprus does not have any tax implications unless the applicant moves to the country. Our associated attorneys, full service commercial law firms based in Limassol and Nicosia, provide comprehensive legal and tax services and solutions to multinational corporations operating in Cyprus, closely held foreign and Cyprus businesses, local entrepreneurs, organizations and individuals. • Advising you on your chances of success before filing your application. • Providing you with pre-immigration legal and tax advice. • Finding local properties that satisfy the minimum investment requirements. Step 1 - Review and Select Qualifying Investment. Our team can advise you on unique/specific searches or present investment options taking into account your investment preferences. Step 3 - Receive Pre-Approval from Government Ministries. Obtaining pre-approvals to ensure full compliance and documentation prior to filing the formal application. The following are questions frequently asked about the Cyprus Immigration by Investment programs. If you don't find your answers here, please contact us at your convenience. Q: What is the minimum investment required to obtain the Cyprus residency? A: The minimum investment amount is EUR 300,000 for a “first-time” sale residential property in Cyprus. The applicants’ presence at the time of purchase is not mandatory and can be facilitated by legal representatives. Q: What is the minimum investment required to obtain the Cyprus citizenship (EU citizenship)? A: The minimum investment amount is EUR 2,0 million for the citizenship (European passport). The total investment amount must include a permanent personal residence valued at no less than EUR 500,000. The remaining investment amount of EUR 1.5 million must be made in residential real estate, to be held for a minimum of three years. If the personal residence is valued at EUR 2,0 million or more, then no additional investment is required. Part of this investment must be a permanent personal residence purchased for at least EUR 500,000. A: Yes. Because Cyprus is a member of the European Union its citizens are automatically European citizens, which means you are allowed to live, work or study anywhere in Europe. Q: Under the citizenship program, can I include my family in my application? A: Yes. All investment options to citizenship allow for dependents. ‘Dependent’ refers to: (1) children under the age of 18, (2) adult children between the age of 18 and 28 who are students, and (3) parents if they purchase their own residence with a value of at least EUR 500,000. Neither the spouse nor the children are required to make any additional financial investments. Q: As a citizen, am I required to live in Cyprus? A: No. Cyprus does not require you to be present or reside in Cyprus before or after approval of your citizenship application. Q: As a citizen, am I required to own real estate in Cyprus? A: Yes. Every main applicant must be the owner of a permanent residence in Cyprus, with a market value of at least EUR 500,000 plus VAT. Members of the same family - but filing separate applications - may pool their resources provided that the total amount of the residence/house covers the amount of EUR 500,000 for each applicant. However, the country does not require you to be present or reside in Cyprus. A: No. When you acquire citizenship under the Cyprus citizenship program, you and your family enjoy full citizenship for life, which can be passed on to future generations by descent. A: Typically, application processing takes six months, with approvals being granted within three to six months. Q: Does Cyprus allow me to keep my original citizenship? A: Yes. There are no restrictions on dual citizenship in Cyprus. A: Becoming a citizen of Cyprus does not have any tax implications unless you move to the country. Individuals are considered as a tax resident of Cyprus if they spend more than 183 days per year in Cyprus. Tax residents are taxed on all chargeable income that is accrued or derived from any source in Cyprus and abroad. Nontax residents are only taxed on certain income accrued or derived from a source in Cyprus. Any foreign taxes that are paid can be credited against personal income tax liability. Q: Can you help me find a real estate agent in Cyprus? A: Yes. We would be happy to help you find your ideal residential and/or commercial property. Our professional relationships in Cyprus guarantee to our clients a smooth, comprehensive service that includes identifying suitable properties, providing transport for property viewings, drafting/reviewing legal contracts, and/or liaising with local notaries and architects as needed. A: Sorry, the immigration by investment programs were developed by the government to attract high net worth individuals, business owners, VIPs and other individuals with the financial means to support themselves and the local economy. Please note: New citizens do not need any work permission; they may work in any of the EU member countries. New residents may apply for a work permit, but would need to find their own employment opportunities. The Cyprus Citizenship by Investment Program provides the applicant with several investment options starting at EUR 2,0 million for immediate European citizenship and passport. The entire citizenship application process can be as fast as 180 days. Alternatively, we would be happy to arrange an in-person meeting at the offices in Cyprus at a time and date convenient for you. Our immigration associates in Cyprus are working exclusively on Citizenship & Residence matters and will stand by your side throughout the entire application process, from start to finish. The team will work with you until your residence or citizenship by investment application has been approved and you have received your residence certificate or Cyprus (EU) passport. Cyprus (EU) Permanent Residency Program. Residency from EUR 300,000. Cyprus (EU) Citizenship Program. Starting at a one-time investment of EUR 2,0 million.